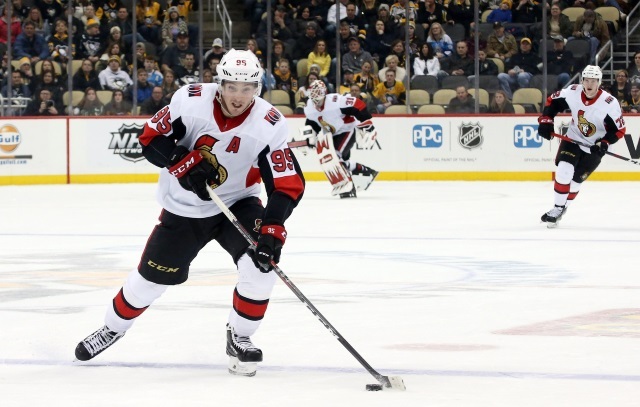 TSN 1200: Darren Dreger is reporting that Matt Duchene‘s agent Pat Brisson is in Ottawa for face-to-face contract talks. Darren Dreger: Brisson and Senators GM Pierre Dorion met for a few hours yesterday. There is more work to be done. Frank Seravalli of TSN: If the Senators are going to trade Matt Duchene and/or Mark Stone, they need to get a first-round pick in the return package. Craig Button on a few teams that might be interested and who the Senators might be interested in. Winnipeg Jets – Jack Roslovic or Kristian Vesalainen. Nashville Predators – Eeli Tolvanen and Dante Fabbro. Calgary Flames – Dillon Dube and Juuso Valimaki. Vegas Golden Knights – Erik Brannstrom and Shea Theodore. Sam Carchidi of the Philadelphia Inquirer: The Boston Bruins are among the teams that have reportedly shown interest in Philadelphia Flyers winger Wayne Simmonds. Would the Oilers be interested in Petan? Allan Mitchell of The Athletic: The Winnipeg Free Press noted that the Winnipeg Jets are looking to move forward Nic Petan. Petan has been a healthy scratch and the price shouldn’t be high. Petan may be the type of player the Edmonton Oilers could look at. He’s more of playmaker than a shooter, which is what the Oilers could use, but he could possibly help them next season. Mike McIntyre of the Winnipeg Free Press: The sooner that Nic Petan could start fresh with a new team, the better it may be for his career. Petan hasn’t played since December 22nd. “It’s a tough answer. A fresh start is a little bit of a tough wording, I’d say. But always looking forward to the next opportunity,” Petan replied. Petan knows there is trade speculation out there. “I think those things are out of my control. Opportunities are everywhere in this league. Whatever happens, it is what it is,” he said.